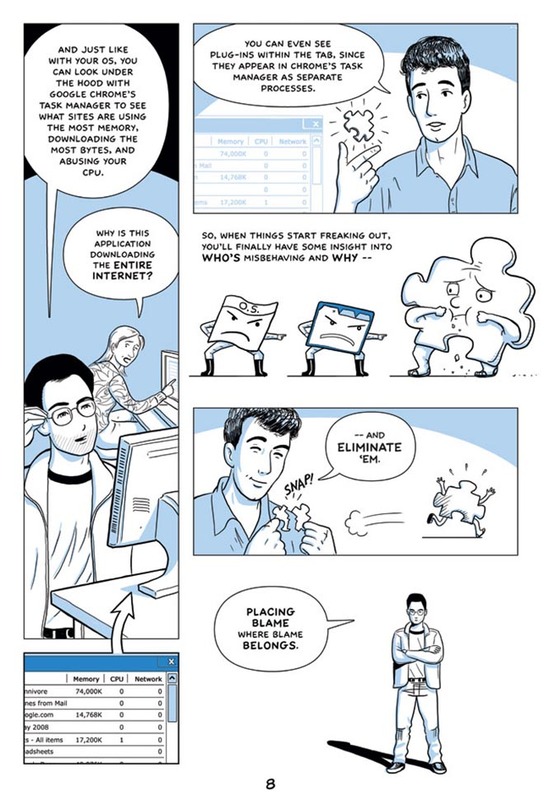 Google is promoting Chrome, a new web browser, with a 38-page comic book. 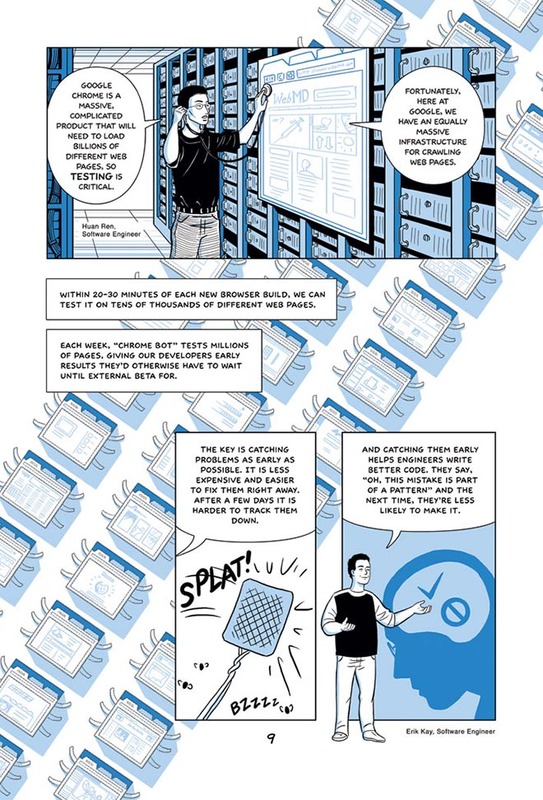 The Google Chrome in Comic Form’s detailed explanation of the open source software was put together by Google staff and put into cartoon form by comic artist and writer Scott McCloud. 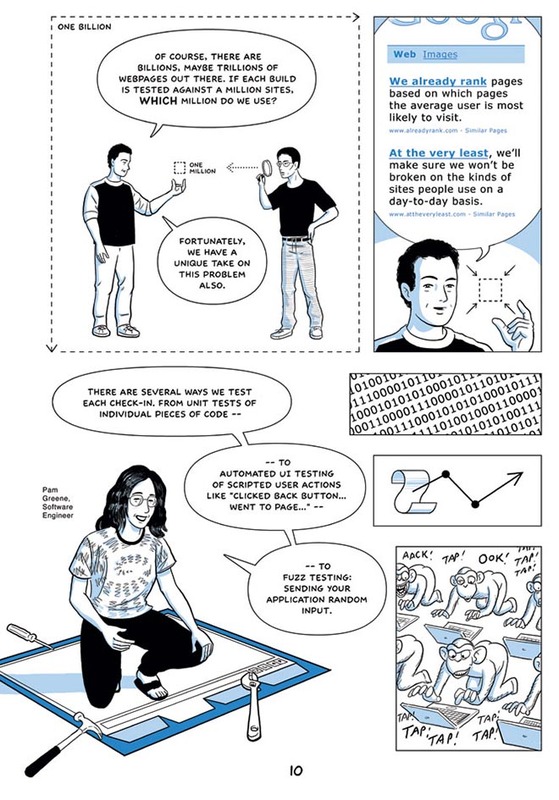 Google software engineer Darin Fisher is portrayed in comic form introducing the WebKit, the same engine used by Apple’s Safari browser and Google’s own Android mobile-phone operating system. 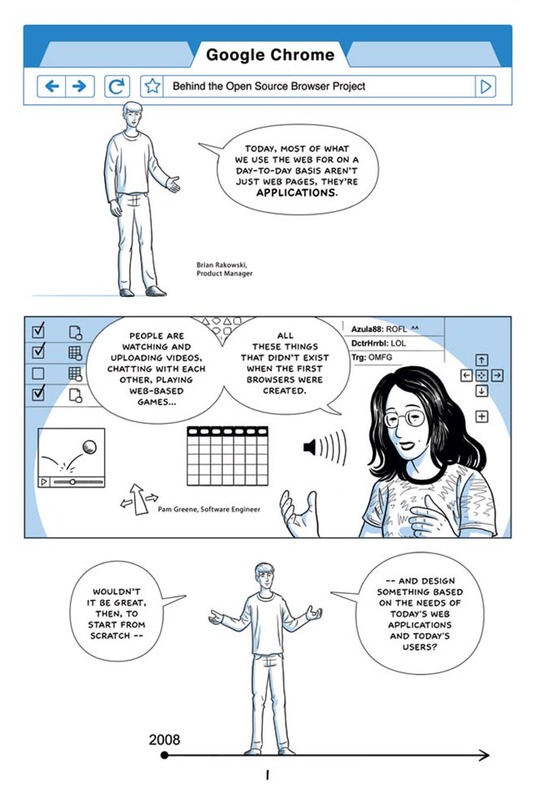 McCloud’s comic book, available in online slideshow and downloadable pdf formats, explains that Chrome is designed to respond to the challenge of running media-rich applications that are the norm in many sites today. 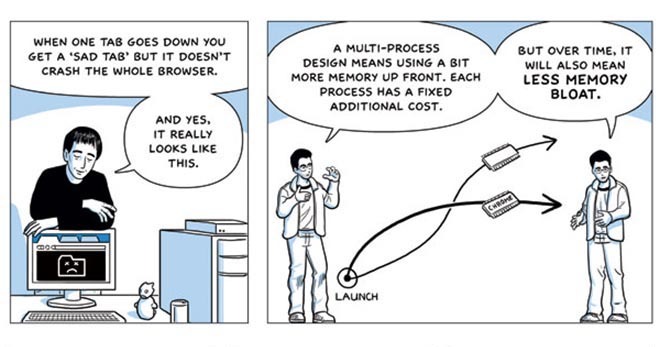 The tab-based interface is claimed to be more stable and secure because of the way each tab run its own process. The default home page will be constructed around user browsing and search patterns. The browser uses Google Gears system, allowing browsers to store and access information on local computers.